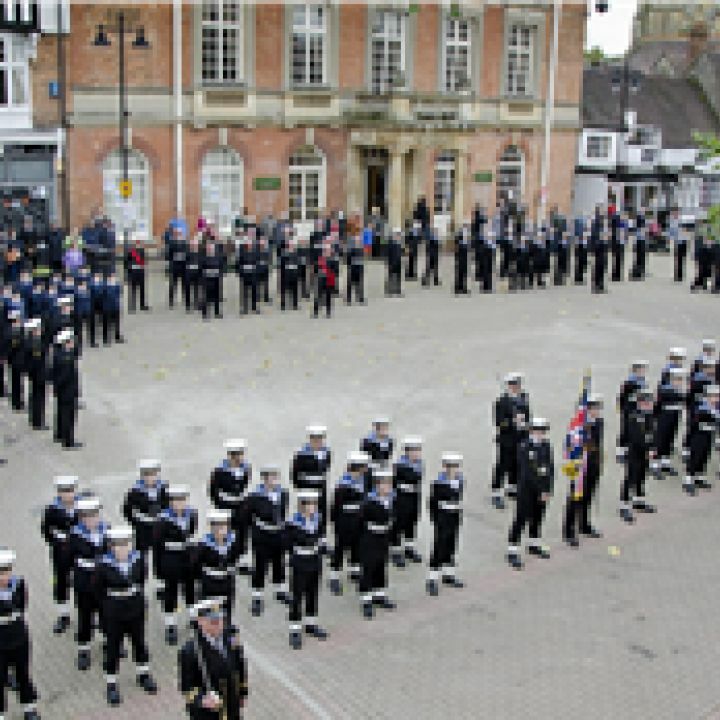 EVESHAM stood to attention as the town welcomed hundreds of Cadets for a major Royal Navy celebration this weekend. The annual Trafalgar Festival, which celebrates the victory of Lord Horatio Nelson at the Battle of Trafalgar, took place in the town on Sunday. Around 300 Sea and Royal Marines cadets led by the band of Weston Super Mare Sea Cadets, marched through the streets of Evesham with flags flying, swords drawn and drums beating. 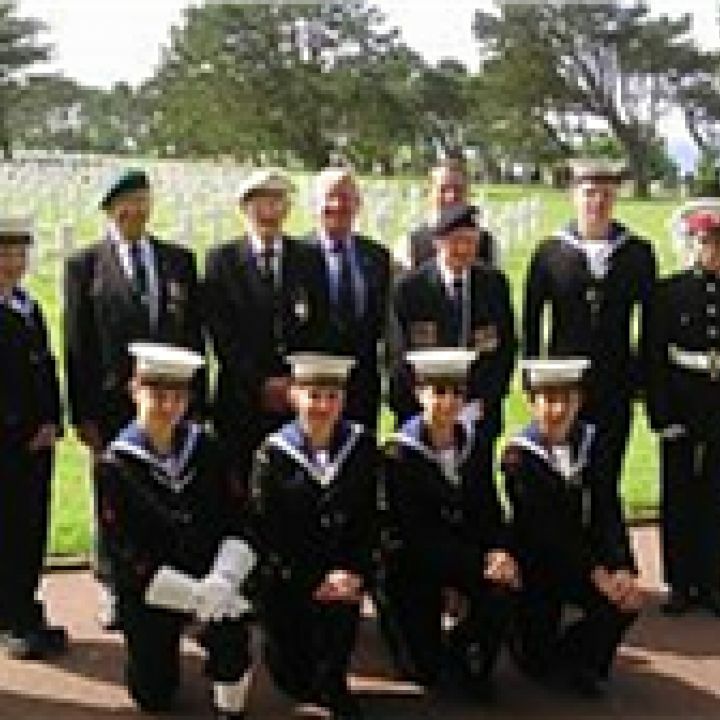 Commanding Officer Evesham Sea Cadets & Royal marines Cadets Detachment, CPO (SCC) Keith Field, said the event was a great success. "This was a wonderful day, to see so many of our cadets marching proud, heads held high, with pristine uniforms to commemorate the Battle of Trafalgar, through the town of Evesham," he said. "I myself was left speechless and the young people of Evesham were a credit to themselves. I would like to give thanks to West Mercia Police, Ringway, Dawn Foods and Spiers and Hartwell who all supported us. Excellent day for the town, well done everyone" The event marks the conflict, which took place on October 21, 1805, when the Royal Navy defeated the combined fleets of the French and Spanish, which in turn scuppered the invasion scheduled by Napoleon Bonaparte. As well as Evesham cadets there will be cadets from Stratford-upon-Avon, Rugby, Tamworth, Redditch, Coventry, Sutton Coldfield, Nuneaton, Shirley, Leamington and Warwick. The march began at Evesham High School, the salute being taken on the Workman’s bridge by the Captain Sea cadets Captain Jonathan Holloway, and ended in Market Square before a service at All Saints Church. When the parade was formed up ready for dismissal, the Captain Sea Cadets, Captain Jonathan Holloway, addressed the parade, saying: "An excellent parade today, and easily on par with the National Celebrations in London last weekend, a huge thank you to Evesham Unit, and the rest of the District for an unforgettable day. "After the event praise flooded in, including the District Officer, Lt Cdr(SCC) Joe Utting RNR, who said: "A massive thank you to all the staff and Cadets that turned out today to support the District Trafalgar Day Parade at Evesham." "The Captain of the Corps and Mrs Holloway, and the other VIP's were nothing but complimentary to me about how smart everyone looked, and the effort that everyone put in to make it an extra special day. "Thank you also to T.S. Explorer for all the backroom organisation, which was faultless, and I know took a lot of preparation. Well Done. "A personal thank you from me, for making my first Trafalgar Day Parade as your District Officer, a success." The following is a link to all the photographs taken throughout the day. Sea Cadets from across the UK recently worked up a sweat at the National Advanced Physical Training Course to gain their instructor certificates. One of the cadets, Lance Corporal Louise Karlinski, from Evesham Unit, who has been one of South West Area's leading PTI's over the last couple of years, was awarded Corps PTI, an exceptional award only presented to one cadet in the whole country and the first time this award has been presented in recent years. Recommended for the award by HQSO PT Lt Cdr V.Marston, she was awarded this accolade at HMS Temeraire by the Captain Sea Cadets. At the end of the week there was a passing out parade, where everyone was presented with their certificates by Captain Sea Cadets. There was also a performance for guests, where cadets demonstrated some of the skills they had gained throughout the course, including a traditional club swinging display to music. 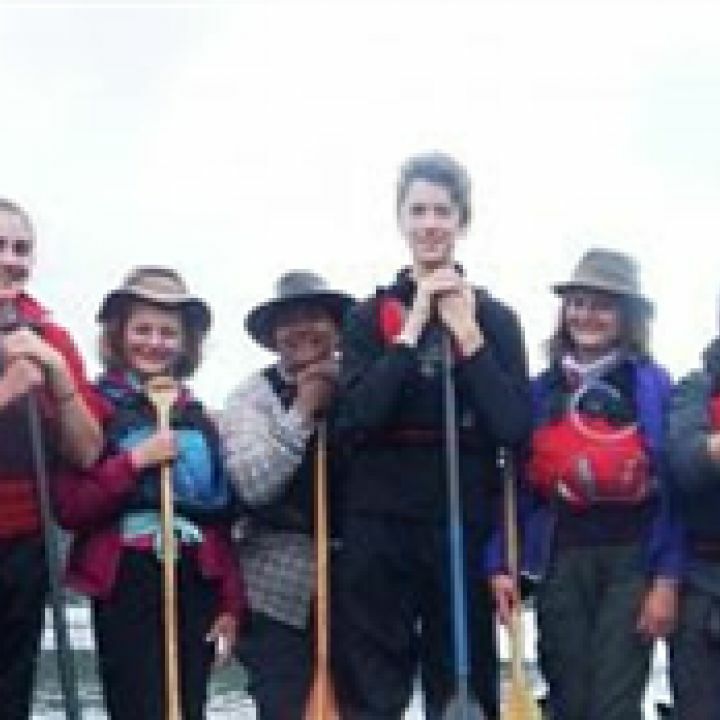 Cadets have been on an exciting open canoe wilderness adventure. A group of Sea Cadets from across the UK, including L/C Freddie Stringer & L/C Lily Stringer, have recently returned from an open canoe wilderness adventure in Scotland. They used tandem open canoes, with two people to one boat, and the expedition was run in wild country, where the team got to grips with wilderness skills, cooking on an open fire, and catching their own supper! We explored numerous places, including salmon farms, the abandoned house of Mike Tomkies (the reclusive writer and naturalist), woods full of deer skeletons, St Finian’s Isle (where we saw recent and ancient graves) and a castle surrounded by the sea loch. We also went mackerel fishing and had a successful catch of 18 fish, which we later turned into a very tasty supper. We saw many animals, including otter, stoat, seal, heron, salmon, deer and unidentified jumping fish. We also saw footprints from deer, pine marten and fox, and fishermen on the river Shiel. The food on the trip was wonderful. Some highlights were haggis with swede and potato mash, dumpling and meatball stew and freshly caught mackerel. We all took turns to cook over the open fire, be ‘fire doctor’, wash up and make countless cups of tea. We wanted to have a great time in the wilderness, and that’s exactly what we did! Evesham Sea Cadets were at the helm of a 55 strong contingent, who visited sites which included, the Pegasus Bridge, Arromanches and Ouistreham, important sites on Gold and Sword Beaches, the German battery featured in the film “The Longest Day”, museums, the war cemetery at Bayeux and Utah and Omaha beaches earlier this month, for the 70th anniversary of the invasion which turned the tide against the Nazis, D-Day. Eight cadets and two staff from the Evesham Unit escorted some of Evesham’s last surviving veterans of the battle, including organizer Mr. Noel Wilkes. Mr. Wilkes, then a young corporal with the Royal Army Service Corps, landed on Juno Beach just days into the Allied campaign in Normandy, which represented the turning of the tide against the Nazis, paving the way for Allied victory. The D-Day landings, the largest seaborne invasion in human history, commenced on June 6, 1944. Mr. Wilkes remembers a rough crossing aboard the cramped Empress of Canada, where it was standing room only. The choppy waters caused many of the men to suffer bouts of sea sickness and from there they climbed onto the landing barges. He knew well enough he might never come home, writing his will before he entered the field of conflict. The men had to provide fuel to the Allied convoys as they advanced and he still recalls the shriek of the shells landing nearby. Three teenagers from Evesham Sea Cadets will set sail for adventure after securing places on an International Exchange Programme. Lance Corporal Louise Karlinski, Able Cadet Abbi Attwood and Petty Officer Cadet Paige Woodward, have secured the places after beating hundreds of cadets, from around the country and now bring the tally to sixteen Evesham Sea Cadets, who have participated in International visits in the past three years. Lance Corporal Karlinski, 17, travels to Sweden at the end of the Month, where after flying into Copenhagen, she will spend two weeks in southern naval port of Karlskrona. Louise will participate in both practical and theoretical education with the Swedish Cadet Corps, and participate in cultural visits to both civil and military units. 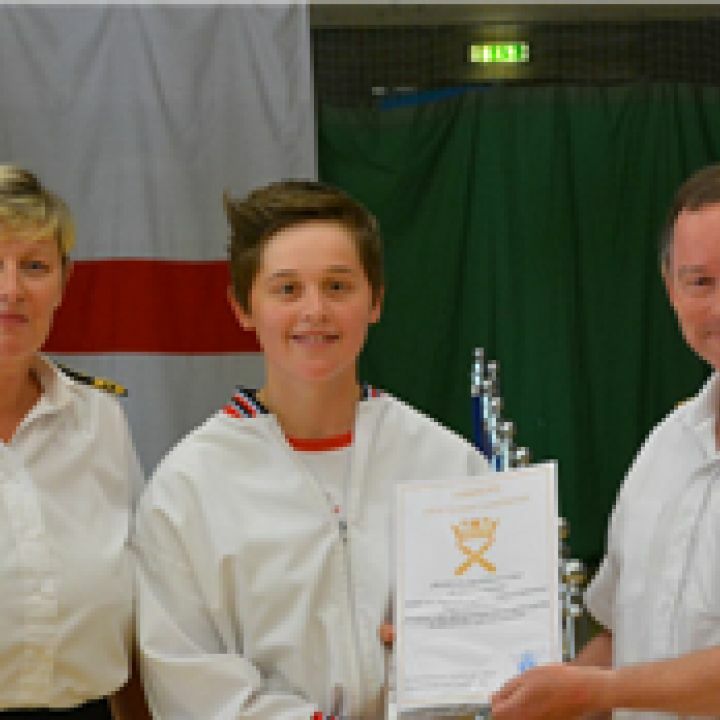 Able Cadet Abbi Attwood, will be flying to Bulgaria for two weeks on 31st July to participate in an intensive two week sailing course. 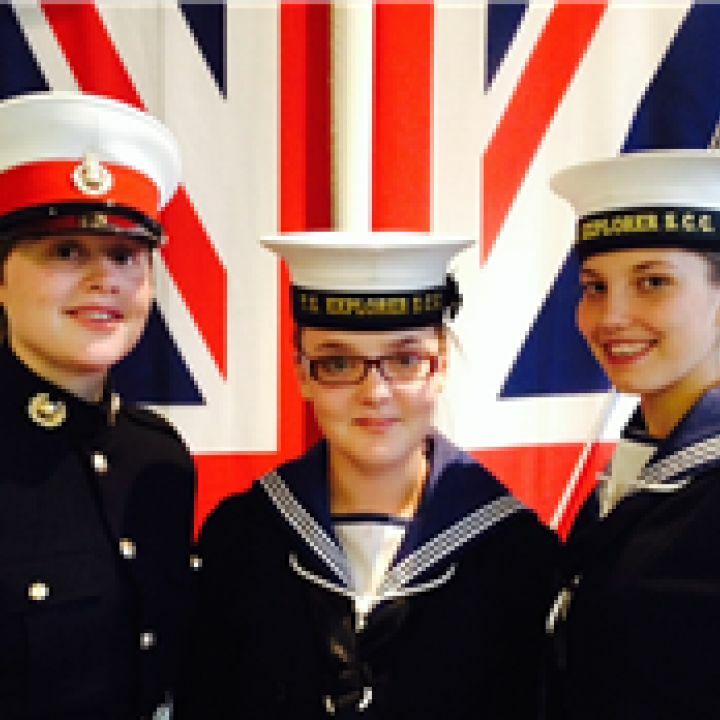 “I’m a bit nervous, however after being in the Sea Cadets for five years now, and being given many opportunities, I’m looking forward to meeting international cadets” Abbi, 15, from Evesham said. Petty Officer cadet Paige Woodward, 17, from Bengeworth, travels to Nova Scotia, Canada, for six weeks at the beginning of July, where she will undergo military training, as well as cultural visits, whilst being based at HMCS Cornwallis, once the home of the largest naval training establishment outside the United Kingdom.